Photo of: West of Ireland: Galway: Connemara: Spiddal. 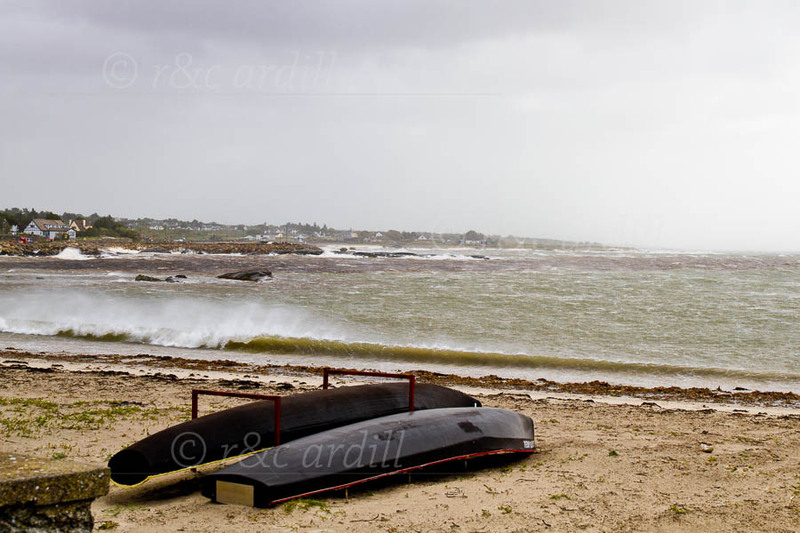 Curraghs on a beach near Spiddal with winds gusting to 150kph. Spiddal is on the north shore of Galway Bay in the Gaelic speaking Connemara. Curraghs are the traditional fishing boats of the area.